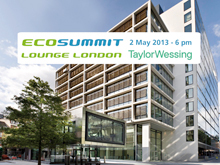 Archive for tag "Ecosummit Market"
We call all cleantech startups in Europe to pitch at Ecosummit London 2013 on 15-16 October at the Crystal, the urban sustainability HQ of Siemens in the Docklands. ECO13 London is our 6th international cleantech conference and brings together Europe’s leading startups, VCs and corporates to accelerate smart green innovation. The theme of ECO13 London is Smart Green City. 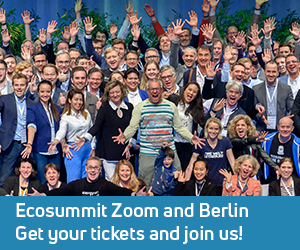 The best 5 startups, that never pitched at Ecosummit before, win a free 8-minute pitch on the Ecosummit stage and in front of the Ecosummit TV cameras. If you do not win but qualify for a pitch, we invite you to buy a startup ticket to pitch (50% of current ticket price). Please apply by creating a profile on Ecosummit Market and sending us your investor presentation as soon as possible. All applications are processed on a first come, first serve basis. Get ready for your cable car pitch and join us at ECO13 London. 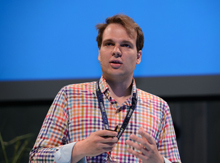 Ecosummit TV: Jan Marckhoff pitches Ben Energy at ECO13 Berlin. The Swiss startup is a spin-off from ETH Zurich and already provides their customer engagement solution to 17 utilities in Switzerland, covering 25% of the Swiss market. Being financed by the founders and customers so far, Ben Energy now looks for €1.2M Series A to increase their sales team in Germany and other new territories. Ben Energy competes with Opower that raised $65M and has got 400 employees. Comparing the two startups, it’s fair to say that the really lean startup comes from Switzerland. In my personal opinion, Ben Energy is a great investment opportunity for any cleantech VC who likes fast scalable business models that are capital-light and proven in the market. Opower may be their exit channel.